Home » vegan-cooking-blog » Brum, Brum, Brum! Viva! Goes Mad in Birmingham. We came, we saw, we conquered - well, thanks to an amazing 3,000 or so people who flooded Birmingham Viva! Vegan Festival at the Council House last Saturday! We couldn't have done it without their efforts nor the fantastic stallholders and hardworking volunteers. Food, food everywhere - Seitan & Veg Skewers, New York Cheesecake (some of the best I've ever tasted, before or after going vegan), Mexican food, Chinese, Southern Indian, Mr Nice Pies and his marvellous pies... and much much more. And did I mention cake? And chocolate? And...? 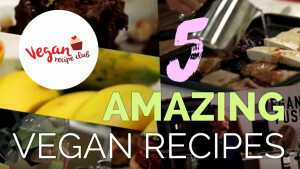 So great to see people try these foods and realise how good it is to be vegan! And how much fun. Talks - Michael Greger (part of his global 90 city tour! ); Viva! 's Founder & Director Juliet Gellatley; Head of Campaigns Justin Kerswell and more - all packed out with passionate, interested, involved people who wanted to find out more about what this vegan lark is all about. 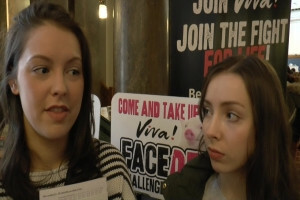 Particularly poignant and heartwarming were those who took part in the Face Off challenge on our Campaigns stall - watch their responses here (nothing horrible, they just speak about their feelings about what they've witnessed). The sense of there being a massive sea change of opinion, ideas, diet, ethics was all-consuming. Such events are always life and heart changing but the past year or two has seen such an upsurge in numbers of people joining up the dots about animals, diet, compassion, the environment and their own health - it feels very different. We all feel very proud to be part of this movement.